Maiden Japan has announced two new anime acquisitions for release in North America. The first of these is Kanamemo, a yuri slice-of life comedy anime produced by anime studio feel. (Dagashi Kashi, My Teen Romantic Comedy SNAFU TOO!) It was directed by Shigehito Takayanagi (Dagashi Kashi, The World God Only Knows) with series composition by Rika Nakase (Fushigiboshi no Futago Hime, Rocket Girls). 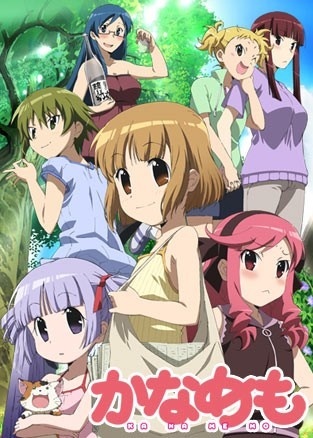 It ran from July 2009 to September 2009 for 13 episodes. The anime is adapted from Shoko Iwami’s manga which was published in Houbunsha’s Manga Time Kirara Max magazine from April 2007 to October 2013. The second of these acquisitions is Asura Cryin’, a supernatural action-adventure anime produced by Seven Arcs (ViVid Strike!, Mahou Shoujo Lyrical Nanoha A’s). Keizo Kusakawa (Campione!, Inukami!) directed the anime. It ran from April 2009 to December 2009 for 26 episodes. 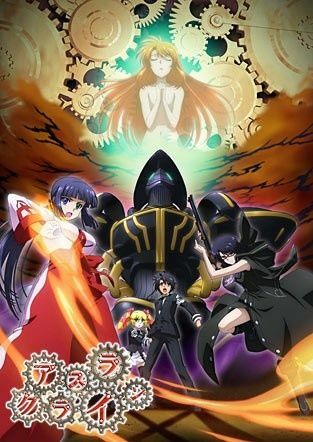 The anime is adapted from Gakuto Mikumo’s light novel series of the same name. It was published by ASCII Media Works under their Dengeki Bunko imprint from July 2005 to February 2010. Maiden Japan will release both series on select digital outlets with a home video release to follow. Will you be checking out any of these two series once they release here?